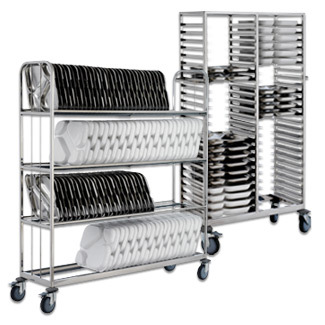 CBC trolleys are designed to provide optimum performance in hospitals, large commercial kitchens, hotels and overall, in all places in which kitchenware and food must be moved in a secure, convenient and hygienic manner. All our models are fully made of Stainless Steel 18/10. • High quality polishing or satin polishing. 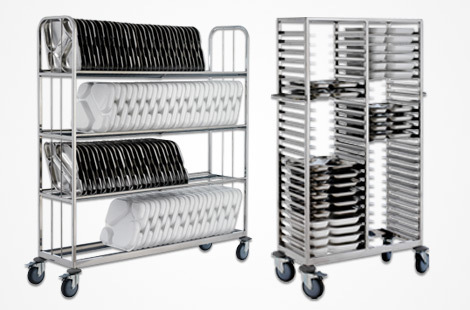 • Provided with 4 wheels with or without breaks, with safety bumpers in each of them. 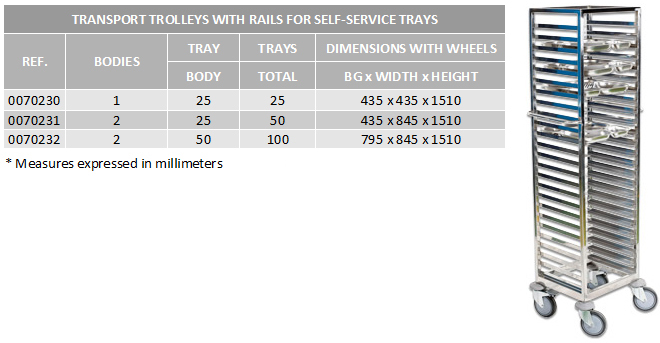 • Distance between rails 125 mm. • Fully made of stainless steel 18/10, Aisi 304. • Mirror or satin high quality polishing. • Rails of Stainless Steel 18/10, Aisi 304. • With end stop in one of the sides. • With rotating wheels: 2 with break and 2 without break. • Trolley closed in any of the sides. • Adjustable seals in 1 or 2 sides. 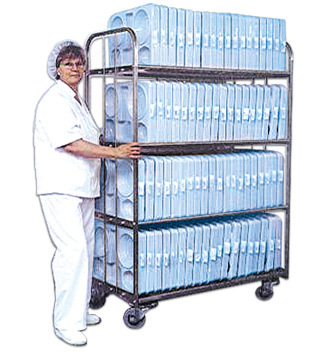 • Upper trays: to place documents or auxiliary equipment. 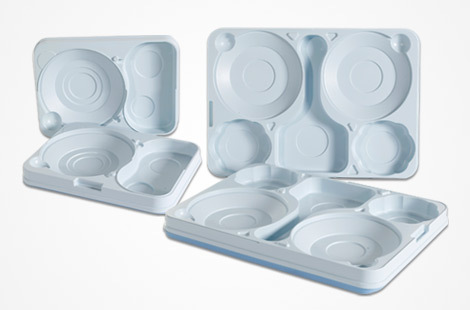 • Designed to dry trays. 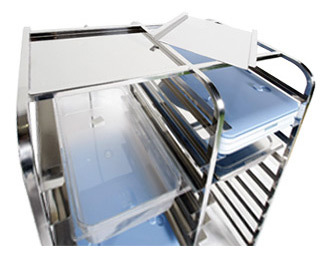 Stackable trolleys to transport Isothermal trays. 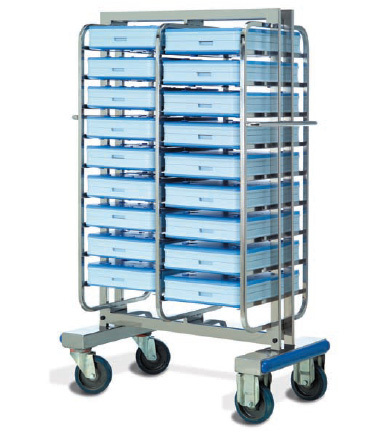 Extra-strong trolleys, stackable to optimise the space in the warehouse and linked to transport several of them at the same time. 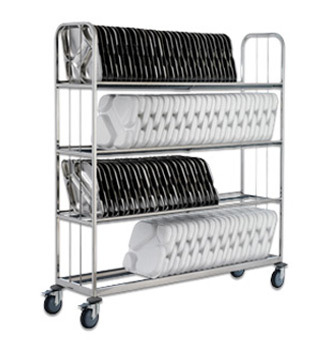 With high strength safety bumpers and easy to use and clean. .
EXTRA-STRONG OR LIGHT SERVICE TROLLEYS . 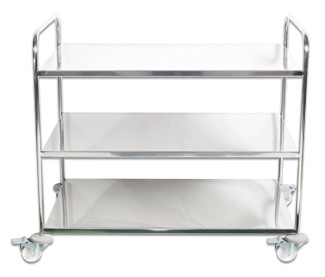 • Made by certified welders..
• Stainless Steel shelves, welded to the structure for improved fixation. • With four wheels: 2 fix and 2 rotating with break. 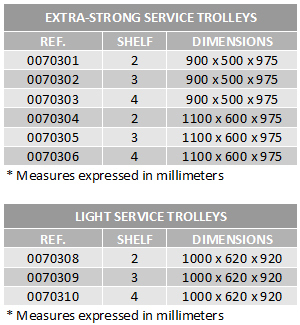 We manufacture any type of stainless steel AISI 304 trolley under specific customer requirements. 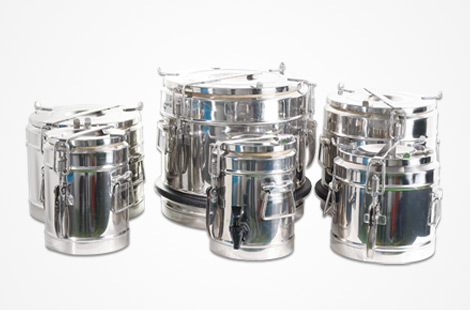 • Made of stainless steel AISI 304 or AISI 316.